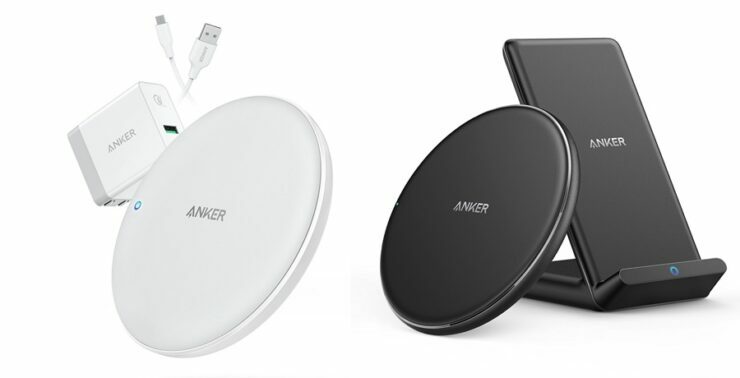 If you’ve been hoping to pick up a wireless charger or two for yourself then Anker has some insane deals today. But that’s not the complete story; portable batteries, speakers and appliances are discounted too. We’re going to dive straight into the wireless charger discounts on offer. Anker’s 10W Qi-Certified wireless charging pad is down to just $16.59 from $21.99. There’s no code needed and the deal will last till 18th of June. All the deals outlined below are ‘Buy 2 get 20% Off.’ Use the code PWRFREE2 at checkout. Anker’s 5W Qi-Certified ultra slim wireless charging pad is down to just $11.99 if you buy two of these together. Wanna fast charge an iPhone? Then you might want to pick up the PowerWave 7.5W Charging Pad for just $36.79, down from $45.99. Fancy the PowerWave Charging Stand instead? That too is discounted, with the price coming down to $39.99 from $49.99. But it gets even more interesting, if you buy two Power Wireless Charging Bundles from Anker, the price comes down to just $31.99 from $39.99 per bundle. If you are looking for something on the cheaper side of the fence, then the Anker 5W charging pad is available for a mighty discounted price of $11.19, down from $13.99. Anker’s PowerLine+ Lightning cables are heavily discounted too today. Whether it’s a Red, Grey, White or Gold one, you can expect to pay only $12.59 instead of $17.99 per cable once you apply the code ANKER823 at checkout. On the other side of the fence, the Roav Dash Cam C1 is discounted, with the price coming down to $54.99 from $72.99. Also, Anker’s famous 15600mAh PowerCore portable power bank is down to just $29.99 from $35.99. In the sound department, there are some decent discounts too. For instance, the SoundCore Motion Q Bluetooth speaker is down to just $39.99 from $49.99. Anker’s portable SoundCore Bluetooth speaker is seeing a discount as well today, and you can pick one up for just $25.99 instead of $27.99 once you apply the coupon on Amazon. Looking for a smart switch? The Eufy Smart Switch with Alexa and Google Assistant support is discounted too today. The price is down to just $22.69 from $29.99. Eufy’s HomeVac Lightweight Cordless Vacuum cleaner is discounted from $109.99 to $79.99 in white. If you are looking to pick one up in black, then the discount is even bigger – just $59.99 after discount. Just don’t forget to use the code VAC23456 at checkout for the black model. The white one does not require any sort of code.